The monarch butterfly is quite the sight and you’ve probably seen at least one in your life but with their numbers dwindling seeing them in the wild is becoming a very rare concept. As they continue to die off more and more, we may be losing them entirely. According to a recent survey, things do not look so good for this beautiful creature. This survey was conducted by the Xerces Society for Invertebrate Conservation and found that population decline has reached dangerously low levels on both the east and west coast. As the decades’ pass, this decline is getting worse and worse. Both the eastern and western migrations have experienced significant decline in a matter of decades. In the 1990s, nearly 700 million monarchs made the epic flight each fall from the northern plains of the U.S. and Canada to sites in the oyamel fir forests north of Mexico City. Now, researchers and citizen scientists estimate that there has been a decline of more than 80% in the east. In the west, the news is more dire. 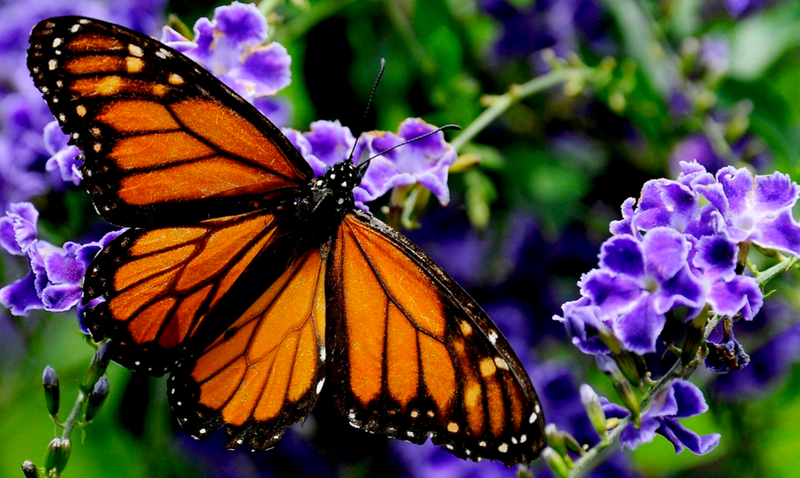 Monarchs have experienced a decline of 99.4% in coastal California, from an estimated 4.5 million in the 1980s to 28,429 as of January 2019. There are quite a few threats driving these numbers down and those threats don’t seem to be going anywhere anytime soon. From pesticide use to logging and everything in between if we do not do something this species will be wiped off of the face of the Earth. While the Xerces Society has been working to conserve the remaining population numbers are still going down. With only 30,000 present in the west, there are no quick fixes to this issue. The group hopes to begin implementing some kind of overwinter site management plan in order to combat some of the issues occurring but that alone is not enough. The primary focus for this kind of thing is working to restore breeding and migratory habitat at least in California. If you are in the area and would like to work towards that you could do your part by planting flowers that the monarchs would be attracted to. Milkweed, for instance, would be quite beneficial. We need to halt all cosmetic use of pesticides. Seek out non-chemical options to prevent and manage pests in your garden and landscaping. We need to push to suspend the use of neonicotinoids in the commercial production of milkweed plants. We need to work to reduce herbicide and insecticide use in and around overwintering sites and in key breeding regions. Avoid herbicide applications that might damage monarch breeding and migratory habitats such as milkweed and flowering plants. Use targeted application methods, avoid large-scale broadcast applications of herbicides, and take precautions to limit off-site movement of herbicides. Neonicotinoid insecticides, in particular, should be avoided at all times in monarch habitat due to their persistence, systemic nature, and toxicity. While getting these numbers back up is going to take time and is no easy task, it is something that must be done. The death of this species could affect other species as well.